Our community. Our lives. Our stories. 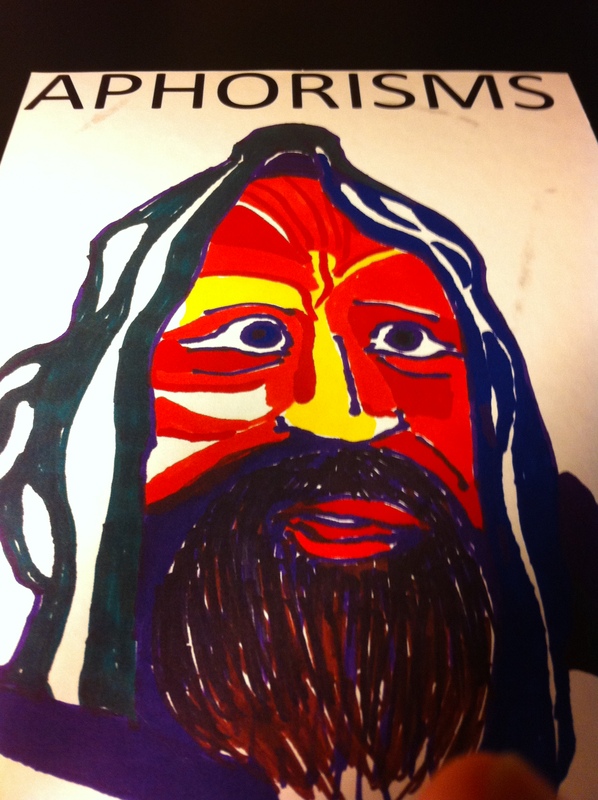 The wise and talented long-time Florida teller Nicholas “The Storyteller” Cole recently sent me his new book called Aphorisms. (Love the cover art!) With his monk’s robes and flowing white beard, Nicholas has been a favorite at Florida Storytelling Association and other events, and in 2012 he emceed the storytelling slam and wowed the crowd with ghost stories at the Deerfield Beach Storytelling Festival. Language is for communication, not for seeking truth. The blessing and the curse of a recorded story is that it stays the same. Is my memory perfect if I cannot recall one thing that I’ve forgotten? Art does not give me something to believe. It simply gives me things to observe that are believable. The human brain is a story machine. It will repeat almost anything. Just wondering: Is it love we celebrate or the stories we tell ourselves about it? Life is simple. It is our stories about it that are complicated. Storytelling is saying things about reality it cannot say by itself. In stories there should be deniability; especially when they are meant to be true. Experienced liars and storytellers have learned that they must give enough facts to capture credibility. No one has written a really original Greek myth in ages. It takes thought and creativity to make a story, but only one mistake to change history. Sound bites are tricksters of language. Do our memories belong to us, or do we belong to them? To contact Nicholas for a gig, a book talk or just to chat, call him at 786-853-4475.